Studio potters are taught their craft in many different institutions. They may learn their ceramic skills at school and university, or through an apprenticeship or the private teaching of a professional potter. The last ten years have seen the growth of commercial courses offered by ceramic suppliers. Many studio potters, both amateur and professional, have learned and developed their skills in the adult and further education sector. Grayson Perry and Edmund de Waal are two of the UK’s most well-known ceramic artists whose first lessons were at evening classes in adult education centres. Since the early 1990s the part-time teaching of pottery in local authority adult education and further education colleges has assumed greater importance in the transmission of ceramic skills in Britain. This trend is not the consequence of any expansion of lifelong learning. Rather, there has been a reduction in the teaching of ceramics in schools and the closure of university ceramics courses or their incorporation into broader design degrees. But now the future of ceramics in adult and further education is under threat as a result of five years of cuts to college and local authority budgets, as well as policy and structural changes in further education. Pottery courses are being quietly dropped and local adult education centres closed down, most recently, the large ceramics department at City and Islington College. While the protection afforded to adult basic skills in Government’s 2015 Spending Review was a welcome relief for those in the sector, between 2016-17 and 2019-20 local authorities in England will see a 6.7 per cent real term reduction in their budgets. This means that in order to balance their books, councils may still have to cut adult education courses and sell buildings, or sub-contract courses to other providers who may not offer ceramics teaching, all trends which may result in the loss of pottery classes. In order to monitor what is on offer for ceramics students in adult and further education, the amount of provision that is available in England, Scotland and Wales in the academic year 2015-16 was analysed. Using the online prospectuses of local authority adult education services (including those that have been reconstituted as third sector or not-for-profit institutions) and further education colleges, the number of hours of ceramics teaching was calculated for each institution. Only ceramics and pottery courses were included in the analysis; while 18 further education colleges mentioned ceramics within art and design or three-dimensional design courses, this teaching was not included. The average fees and concessionary rates charged for mixed level courses was also calculated, weighted in each institute by the hours on offer. It is intended that this analysis will provide a benchmark against which to measure any future changes to the scale and nature of ceramics teaching on offer in adult and further education. A total of 51,400 hours of teaching will be provided in 2015-16 by 75 local authority adult education services and 70 colleges in Britain, with Table One giving a regional and national breakdown. Table One shows that greatest amount of ceramics teaching is available in London and the South-East. Indeed there is a distinct North-South divide in ceramics teaching; in terms of hours of teaching per 1,000 head of population, London has ten times as much provision as the North East, West Midlands and Scotland. In 94 local authority areas there is no ceramics teaching at all, in either an adult education service or further education colleges. While there are nine London local authority areas without any ceramics teaching, it is easy for a person resident in Islington, for example, to travel to a class offered in Camden or Westminster. But there are large swathes of Britain where there is no easy access to classes, including much of Scotland, North Wales, Staffordshire, Teeside and Durham, Dorset and Wiltshire and most of the Greater Manchester area. The North-South divide in ceramics teaching and its absence from some areas is partly a consequence of socio-economic factors: incomes are lower in the North and a lower proportion of the adult population have higher level qualifications (in 2015 some 28.4 per cent of the working age population are qualified at Level Four and above in the North East, compared with 39.1 per cent in the South East and 49.1 per cent in London). As ceramics teaching largely caters for better educated middle-class students, a smaller potential student market means fewer courses in northern England. Additionally, it can be argued that in deprived areas, local authority adult education services have other priorities, providing basic skills and vocational courses that help people find work. But there are some relatively deprived parts of Britain where there is sustainable ceramics teaching. In Wales, for example, the majority of public sector ceramics teaching is the former coalfield areas, beset by high unemployment. Here there is a great deal of innovation in the delivery of adult education services, with policy determined by the Welsh Government rather than Westminster. Local authority adult education services are co-located in schools, libraries and food banks. In Neath Port Talbot much of the local authority adult education service is run by community volunteers who have put on a ceramics course. This suggests that the survival of ceramics teaching is strongly associated with innovation and leadership in the adult education sector. The survey of prospectuses highlighted the diversity of providers within the adult and further education sectors. At one end of the spectrum there are a small number of large providers offering a wide range of beginner, mixed-level, advanced and specialist ceramics courses every year. At the other end, there are 30 or so smaller providers offering a limited number of hours of mixed-level courses, and generally no specialised teaching. Providers who offer more than 500 hours dedicated ceramics teaching in the academic year 2015-16 are shown in Table Two. Again, they are largely based in London and the South East. Within the further education sector, City Lit offers the greatest number of hours of teaching, while Surrey County Council’s adult learning service teaches the most hours of all local authority providers. Those familiar with the world of ceramics will be able to see that many of these big providers have ceramics teams and departments with strong and often charismatic leadership. 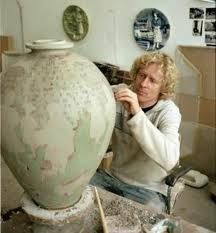 Duncan Hooson, head of ceramics at Morley College, is one example. That Essex County Council delivers such a large amount of ceramics teaching is undoubtedly a legacy of the potter and educator R. J. Washington. A skilled head of a large ceramics department is usually in a much better position to make the case for his or her subject to college or local authority management. In contrast, smaller ceramics teams tend to be staffed by employed on part-time casual contracts and who do not have the channels and opportunities to argue for their subject. Larger departments are more likely to offer progression routes for students as they develop their skills. These can take the form of mixed-level classes, advanced classes and specialist courses. The prospectuses clearly showed that specialist courses were more likely to be offered in larger departments, although there are also some smaller ceramics teams that offer specialist courses. Of the 145 providers, 15 offer courses targeted at those with learning and other disabilities or mental health difficulties, with some other courses offering extra support within mainstream classes. Surrey County Council has a particularly large amount of pottery teaching for those with learning disabilities. Some 14 adult education services and colleges offer family learning courses in ceramics, bringing parents and children together. Another five providers offer courses targeted at children and young people, for example, a college that offers a Level 2 ceramics course to its 16-19 year olds and an adult education service that ran a pottery club for 10-13 year olds. Six providers offer courses accredited at Level 1, six at Level 2, four at Level 3, five at Level 4 (equivalent of a foundation degree). In 2016 Swindon College will start an HND in ceramics (Level 5). Other specialist courses include master classes with established potters, raku, surface decoration, printing on clay, ceramic decals, glaze-making and ceramic sculpture. The analysis of prospectuses showed that about a third (36 per cent) of local authority adult education services offer some ceramics teaching. Overall, 59 per cent of hours of teaching is delivered by adult education services and 41 per cent through further colleges in England, with local authorities also more important in Scotland and Wales (Table One). The greater importance of local authority provision, compared with further education colleges, is a consequence of historical trends discussed below, and more recent policy developments in education. Further education colleges are constituted differently to adult education services. Colleges are public sector organisations that are accountable to governing bodies, rather than to councils. They receive public funding to a wide range of courses which include accredited academic courses for those aged over 16, vocational and basic skills courses, for example, basic IT and literacy. Many further education colleges also deliver foundation and bachelors’ degree courses, although these have to be awarded by universities and increasingly they are marketing courses at overseas students. As can be seen from Table One, the further education sector continues to deliver non-vocational or ‘leisure’ courses, encompassing most ceramics teaching. Usually these courses are non-accredited and attract a smaller subsidy from the Government. The further education sector in Britain can be traced back to the end of the 18th century when learning opportunities for working-class and middle-class adults were provided by rich mosaic of organisations that included trade unions, non-conformist Christianity, temperance societies, mutual improvement societies and charities. Later in the 19th century, as the need for a skilled industrial workforce grew, some of these organisations came together as mechanics’ institutes to provide training in technical subjects. Local government gradually took over responsibility for running these colleges and the Technical Instruction Act 1889 enabled councils to levy rates to deliver training. Alongside the mechanics institutes, some local authorities set up own schools of art and literary institutes, as well as what were termed ‘evening continuation schools’. Many of today’s further education colleges descend in an unbroken line from the evening continuation schools, mechanics’ and literary institutes, with the City Lit in London being one example. In contrast, local authority adult education provision is more recent in origin. While some local authorities – and the Army – delivered non-formal adult education in the 1940s, most local authority adult education has its roots in the radicalism of the 1960s and 1970s and concerns about poverty and inequality. It was at this time that local authorities began running informal adult literacy and numeracy classes, alongside family learning, ESOL and a range of non-vocational provision, including ceramics. Some of this provision was provided in community centres and away from colleges buildings, although until 1992 adult education and further education provision coexisted together under the control of local government. The passage of the Further and Higher Education Act 1992, covering England and Wales, led to further education colleges being removed from local authority control. The legislation provided the legal basis for the Further Education Funding Council (FEFC), channelling public funding to courses that led to vocational or academic qualifications, often termed ‘Schedule 2 courses’ in reference to the 1992 Act. The funding regulations of the FEFC saw a large shift away from non-accredited learning in colleges towards courses that led to qualifications. 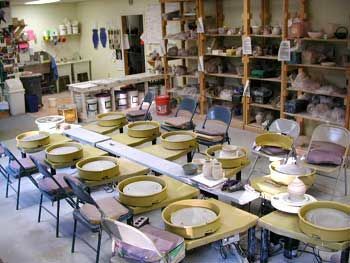 As much ceramics teaching was non-accredited, many further education colleges closed these courses in the 1990s, using their kilns and wheels to teach accredited art and 3D-design courses. The Government initially planned that the Further and Higher Education Act 1992 would strip local authorities of any role in adult and further education. But after much lobbying from bodies that included the Women’s Institute, the Government conceded that non-accredited adult learning also mattered. Local authorities were given a statutory duty to ensure ‘adequate’ provision of adult education outside the Schedule 2 remit. Nevertheless, the 1992 Act led to a fissure between vocational and qualification-bearing courses and adult education for personal and community interest and growth. It is also the reason that proportionately more ceramics teaching, which is mostly non-accredited, in now offered by local authority adult education services, rather than in further education colleges. Since the 1992 legislation there have been many further policy changes – indeed the adult and further education sector has been characterised by policy instability and funding rules that change from year-to-year. Further education colleges have shifted further towards delivering accredited courses and many are now involved in higher education. 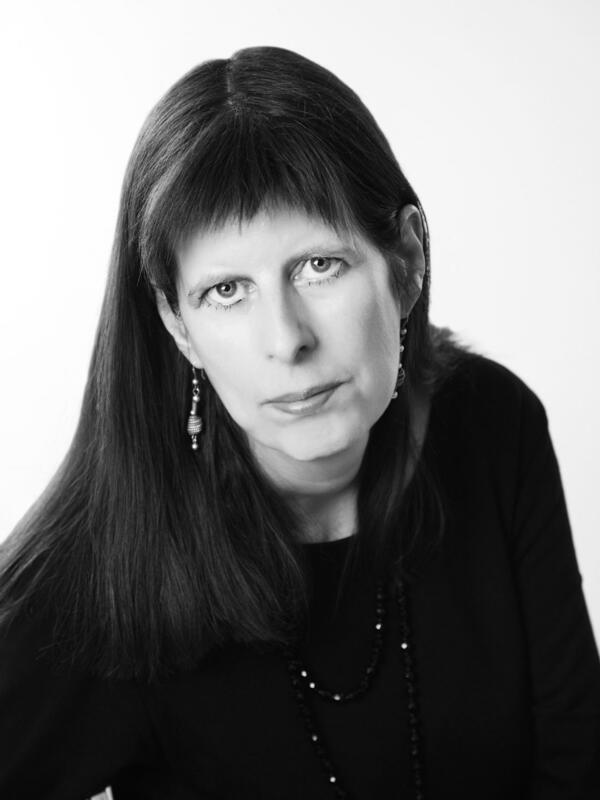 However, the Skills Funding Agency – a descendant of the FEFC – does provide funding for community learning, currently defined as helping “people of different ages and backgrounds gain a new skill, reconnect with learning, pursue an interest, prepare for progression to formal courses or learn how to support their children better”. This funding stream has enabled adult education services and colleges to continue their ceramics teaching and in many cases offer some subsidised places for target groups such as the unemployed or retired people. Many providers have also put in place business models that enable pottery courses to be financially self-sustaining. Since 2011 colleges – unlike local authority adult education services – have been able to borrow money to build and equip new teaching space and this had enabled the refurbishment of some ceramics departments. 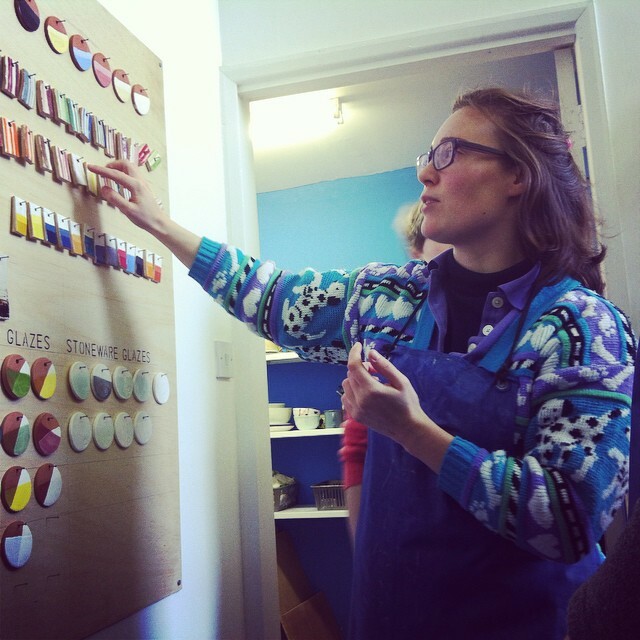 In England, Scotland and Wales the respective funding regulations underpin fee policy for ceramics courses. Nevertheless, colleges and local authorities have some leeway in setting fee and fee concession policy, as well as the cross-subsidies and business models that they operate. Indeed, the analysis of the prospectuses shows a wide range of fees and concessions, with some examples of providers charging different fees and concessions for essentially the same course, albeit one that is taught on a different day of the week or at a different site within the same area. Using the prospectuses, the regional average hourly fee for a generic mixed-level courses was calculated by service/college, region and nation, distinguishing between adult education service and college provider (Table Three). This calculation took the full fee and did not account for any concessions that might be offered by the provider. It was an average (mean) weighted by the number of hours of teaching within each institution and region, so that the average would not be unduly distorted by the fee policies of smaller providers and more accurately reflect what the ‘average’ student is paying. The national average fee for Britain was also weighted by the number of hours of teaching in each region or nation. Fees ranged between £2.60 and £9.37 per hour in local authority adult education services and £3.60 and £11.25 per hour in further education colleges. Teaching is more expensive in London and the South East. It also indicates that local authority adult education classes are generally cheaper per hour than those offered by further education colleges. This is good news for students. Conversely, it also means that where adult education students are able to pay more, there may be some scope for local authorities to increase prices, in order to protect courses or fee concessions for those less able to pay. 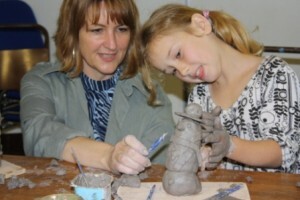 (It is likely that more ceramics courses will move to full-cost fees in the next five years). The 145 different adult education colleges and colleges that offer ceramics teaching had very different approaches to concessionary fees. Some institutions that offered fee concessions had a simple dual price system, with the full fee and a single concessionary rate, usually between 70 and 80 per cent of the full fee. Other providers had elaborate systems, with different prices for different social groups, local residents and those who lived outside the area. Some 49 per cent of further education colleges and 19 per cent of local authority adult education services offered no fee concessions for ceramics courses, although a few of those without concessionary fees – largely in the North East and Wales – have kept the full fee low for all students. In the next five years, the adult and further education sectors will experience further changes, some of them driven by spending cuts, particularly for local authority adult education services. Already, some councils have restructured their adult education services in order to save money. In some cases courses have been out-sourced to other providers that include further education colleges, schools, charities, not-for-profit social enterprises and the private sector. This out-sourcing has led to the closure and sale of adult education centres, including those equipped to teach arts and crafts subjects. While charities and colleges can deliver basic skills, there are currently fewer external organisations who can compete for contracts and deliver arts and crafts courses. Out-sourcing adult education seems to be associated with the loss of non-vocational arts and crafts teaching. In other cases, local authority adult education services have been re-constituted as charitable foundations or not-for-profit social enterprises, delivering a mixture of full-cost courses and those commissioned by the local authority. Charitable foundations and social enterprises have the advantage of being able to borrow money and to attract wider range of revenue and capital funding, so this option has advantages for students and is preferable to out-sourcing. While ceramics courses may close in some parts of Britain, it is likely that in a few areas there may be an expansion of ceramics teaching. Here, colleges and adult education services are rediscovering their historical roots as 19th century art and literary institutes, and selling themselves as the local art school. 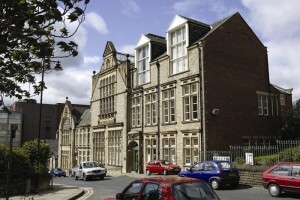 Batley School of Art and Design and Richmond School of Art are two such ventures by further education colleges. This move enables the ‘art school’ to expand the range of accredited and higher level art and design courses, compete for overseas students as well as charge full-cost fees. Funding cuts may also force greater innovation in the delivery of arts and crafts education, for example, the greater co-location of ceramics classes in schools. Cambridgeshire adult education service already delivers much of its evening and weekend ceramics teaching in schools. This co-location has the advantage of saving on capital costs as well as guaranteeing the future of pottery in both schools and in adult education, including in rural areas. Even with greater innovation, ceramics teaching within the adult and further education sector faces an uncertain future. Yet the running down of ceramics teaching comes with a cost. For much of the 20th century Britain has led the world in studio ceramics and pottery is part of the country’s cultural heritage. Ceramic skills learned in college can also be transferred into the industrial sector or into other areas of design – a key part of the British economy. If ceramics teaching is to thrive, it requires action, innovation and leadership, at a local level and in government. In colleges and adult education services, art and design department need good leaders who can make the case for their subjects. Colleges and adult education services also need inspiring, innovative and competent managers are able to maintain and develop high quality arts and crafts teaching within the current fiscal climate. Despite Britain’s ceramic heritage, there is presently no strong and organised advocacy for arts and crafts education, either from within education or the arts world. At present, lobbying from the National Institute of Adult and Continuing Education and the Association of Colleges has focussed on basic skills and work-related training. Effective lobbying, supported by evidence, may help preserve and expand ceramics teaching. In most prospectuses, ceramics classes are included in courses that are described as being ‘non-vocational’ or ‘leisure’ courses. These labels have the potential to devalue ceramics teaching in relation to vocational and academic courses that come with a qualification. The words that are chosen to market courses matter. Those who are passionate about ceramics teaching, or other arts and crafts subjects, need better to show the wider benefits of lifelong learning, on our physical and mental health, social skills and behaviours. For example, parents who are lifelong learners are more likely to have children with high educational aspirations. The health benefits from undertaking adult education include better self-reported health and lower rates of obesity and depression, benefits that can be monetised and used to argue for lifelong learning. Adult and further education has to serve the needs of the economy. But it is also possible to meet the desires of ordinary people to learn for pleasure and personal growth within a vibrant and thriving lifelong learning system. But for too long, adult and further education has been the poor relation of schooling and of higher education. In England, very few ministers have shown an interest in this area and the remit for further education has been shifted between different government departments and agencies. Students have also suffered the consequences of complex, contradictory and last-minute rule changes to funding regulations, some of which have added to the financial instability of colleges. Thriving ceramics departments require a thriving adult and further education sector. This, in turn, requires leadership from the Government, ministers who care about lifelong learning, adequate funding, competent agencies and a period of policy stability.